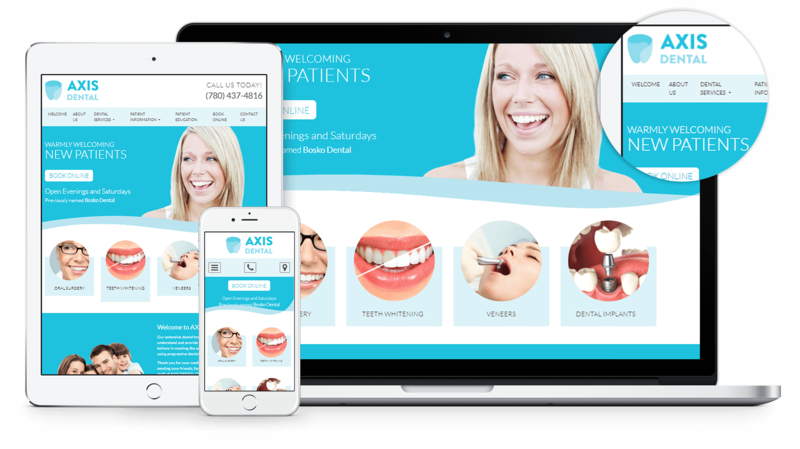 We are pleased to announce that Axis Dental Clinic has a brand new and technologically advanced website! Axis Dental Clinic`s extensive dental training and experience allows them to understand and provide a wide range of smile solutions. They believe in creating the smile patients are looking for using progressive dental techniques and technology. If you're missing one or more teeth and would like to fill the gap with the most natural-looking, comfortable solution possible, you'll be interested in hearing about how they do their dental implants. Patients have access to useful dental tools as soon as they reach the welcome page, also a few office images pop up throughout the banner and the page itself. They can scroll through all the dental services the practice has to offer and they can also book an appointment through the website as well. It is built on a responsive platform with clean-cut and modern design that is very user-friendly. Patients can access the website through their smartphones, tablets or laptops.